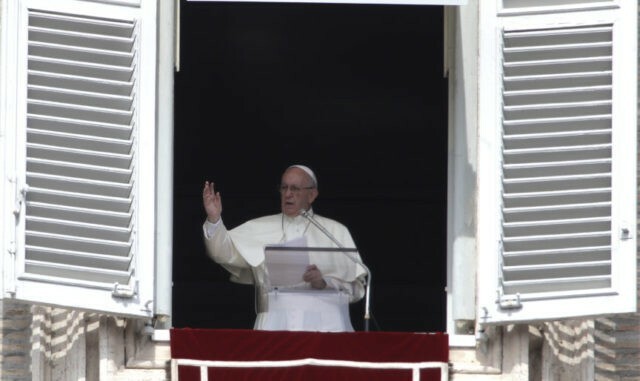 VATICAN CITY (AP) — Pope Francis is launching a two-year activism and awareness-raising campaign about the plight of migrants to counteract mounting anti-immigrant sentiment in the U.S., Europe and beyond. The campaign encourages people to actually meet with migrants and listen to their stories, rather than treat them as statistics clouded by negative stereotypes. Francis, himself the son of Italian immigrants to Argentina, launched the campaign Wednesday during his weekly general audience. He urged individuals and governments to welcome migrants with open arms and share in their plight, as Jesus did. He said migrants are driven by the very Christian virtue of hope, to find a better life, and urged receiving countries to share in that hope.